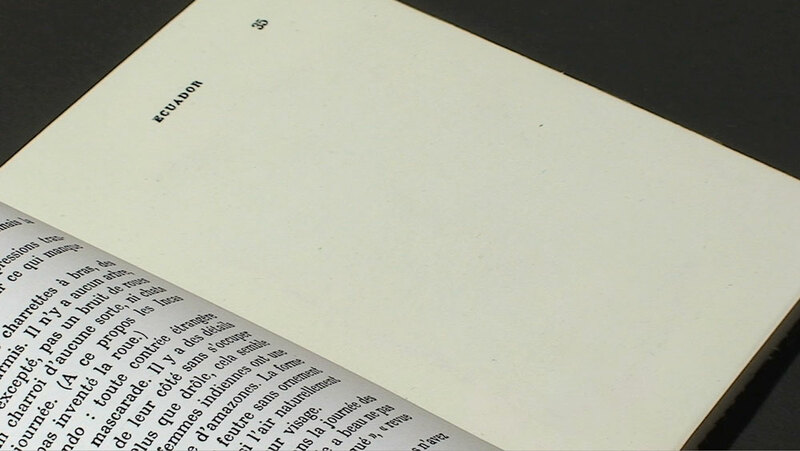 In cartographies 1. la crise de la dimension (cartographies 1. the crisis of the dimension) an open book lies on a table. The page to the right has no printed text. A hand enters the frame and wanders over the blank page with ink-loaded fingertips. 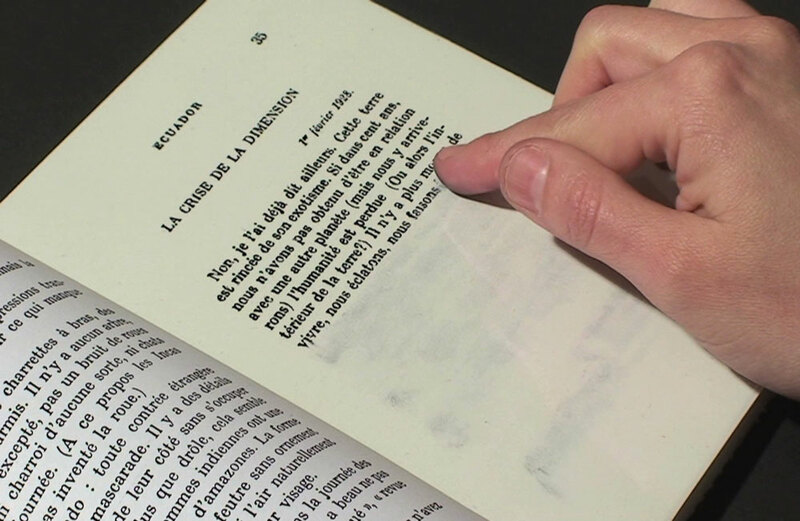 When smudging the page, the ink stamps on the surface and reveals the missing text. This video is part of a series inspired by Henri Michaux’s book Ecuador, from 1929.